We’ve done some pretty daring stuff, but these ones top the list. Not just because they’re unusual (or downright scary!) but because they make make us feel like different people somehow. Yes, we’ve camped at the Sahara. And it was the most amazing thing we’ve ever done. 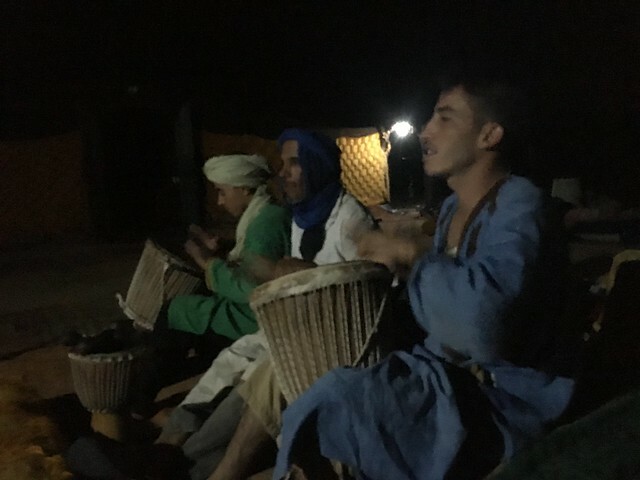 We took a van from Marrakech, visited Ouarzazate and finally ended up in Zagora, a small town by the Draa River in southeastern Morocco. 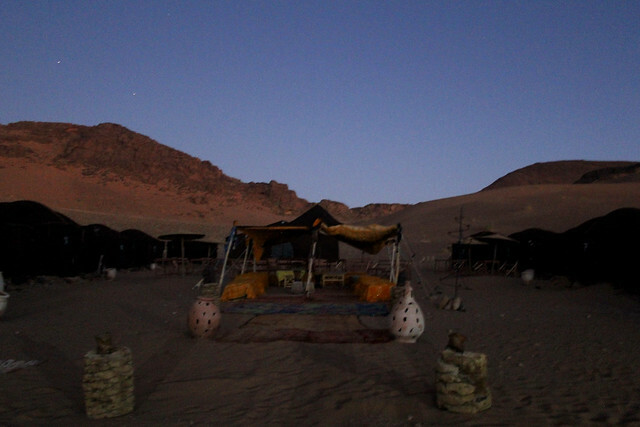 From there, we rode camels to a small but cozy Berber campground in the middle of the desert. Our hosts were friendly and gracious. They cooked us Tajine, a very popular Moroccan dish paired with bread and mint tea. After, they took out drums and started singing. We didn’t understand most of the songs, but it was nice to sit on soft pillows under the brilliant night sky with the sand between our toes. We retired to our tents around midnight but it was still so hot we couldn’t sleep. At around two in the morning we opened the tent flap and walked outside, just to get some fresh air. Everyone was already asleep then, and it was so quiet we could hear the wind blowing softly against the faraway mountains. It was such a magical experience to walk on the sand alone at night with the stars above and the peaceful silence draping over everything. We were lucky we met two Japanese students who told us a well-kept secret: visit Mount Inari at dawn, not just to escape the crowds, but also to feel the magic that lives within the mountain. We decided to take their advice and set out on our journey at four in the morning. 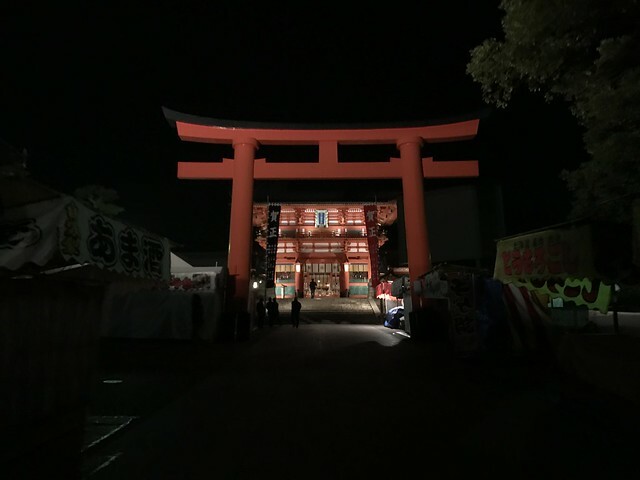 It was an otherworldly experience to walk between the red torii gates in the darkness and silence. We didn’t talk much during the hike, we wanted to respect the spirits that we knew were lingering nearby. We reached the summit of Mount Inari just after dawn, and the view of the sun rising above Kyoto was simply breathtaking. 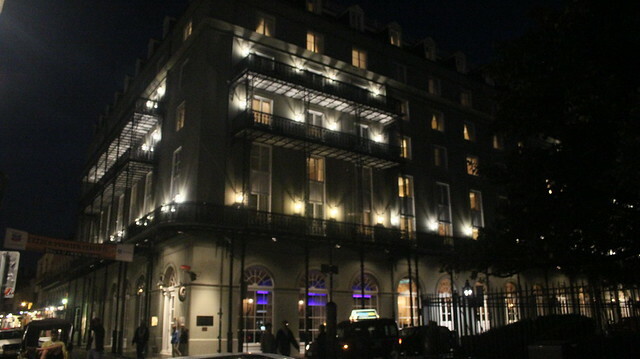 On our trip to New Orleans our friend managed to convince us to take a walking tour around the most haunted spots in New Orleans. We visited a murder location, a house that used to be a witch convent, several graveyards and a very scary mansion where a woman used to torture her slaves. Needless to say, it was a terrifying experience. Luckily we didn’t see anything out of the ordinary. 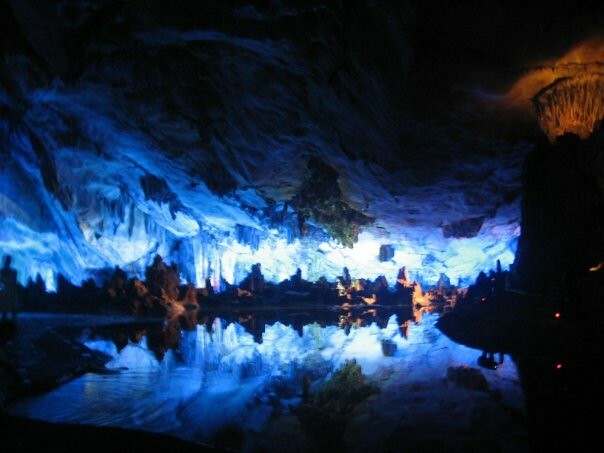 China’s natural beauty is magnificent, but one of the most memorable sights we saw was the Reed Flute Cave in Guilin. It was sort of frightening to walk into a cold, dark place with stalactites and stalagmites all around us like giant teeth. But once we got over the fear, we saw how beautiful the cave really was. What was most unforgettable was when we reached a lake inside the cave, its surface so calm it reflected the lights and the cave ceiling like a giant mirror. One wouldn’t expect taking a train to be interesting, but it was. 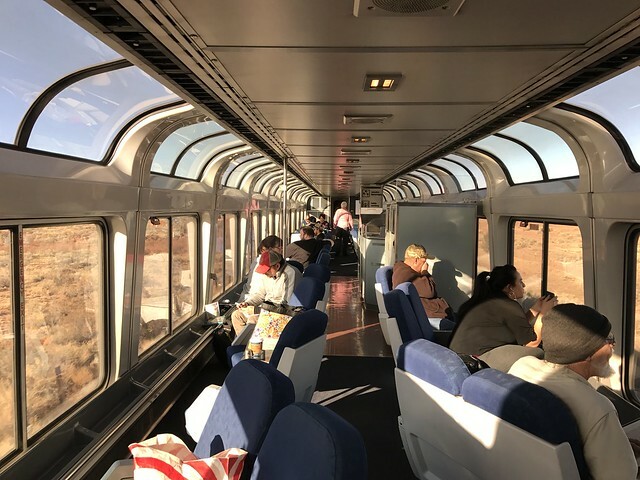 We took an Amtrak train from Los Angeles to Santa Fe, and it took more than 20 hours to reach the destination. 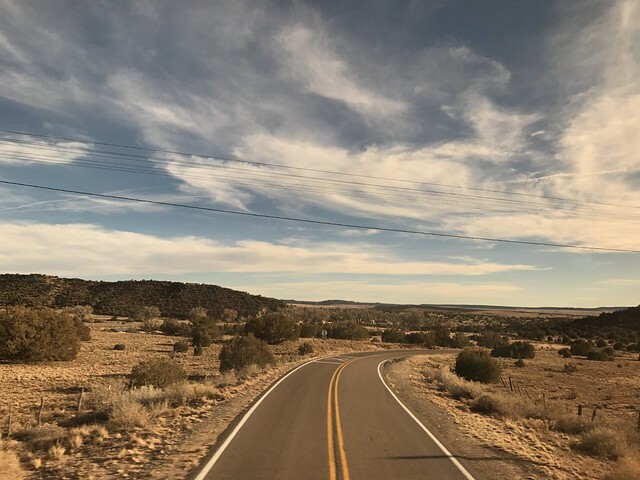 It was truly surreal to be in the train with so many strangers, to look outside at the sprawling deserts and to fall in and out of sleep as the train chugged along. It almost felt like time didn’t exist somehow, that we were in a limbo between reality and a dream. A particular moment stood out especially clearly. It was three in the morning, and we just drank weird-tasting water from the water fountain. We went to the observatory car, sat under the windows and looked at the distant stars. From the dark windows, we could see our own faces, almost unrecognizable with our unkempt hair and oversized hoodies. It was rough, but would we do it again? Definitely yes. This entry was posted in Miscellaneous, Uncategorized and tagged china, inspiration, japan, morocco, photography, travel, usa. Bookmark the permalink. Wow. These all sound amazing! I have been dying to take one of those SW American train rides. Your post made me think back to before I traveled in Asia as I am now. It was perhaps the 1980s and I was an archeologist then. My mentor and friend drove his Toyota Land Cruiser Jeep to places far and distant in the mystical Mojave Desert. Once we returning to the Jeep in silence when we heard a whine and bark behind us. Feral dogs in a pack about 200 feet behind. My mentor told me “run like hell”. We got back to the Jeep to see the dogs rounding a turn behind us. RWR removed his 357 caliber hand gun and shot one of the dogs. The others stopped and went after the dog that was down. RWR looked grimly on and muttered “coulda been us”. We got in the Jeep and drove to our evening campground. There the desert air was sweet and the evening stars cascaded in their patterns. “Good thing we survived those dogs” RWR said. “Who would have eaten the chili and drank all this warm beer if not.” I just sat and marveled and still do at the desert. 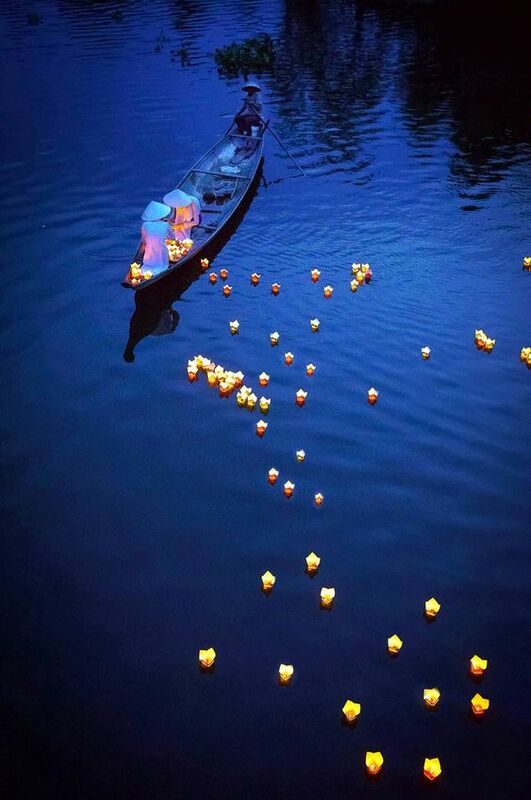 Really fragile, full of beauty and death and wonder. Thanks for letting me remember my desert story with your amazing adventures! Wow, that’s quite a story. Thanks for sharing.